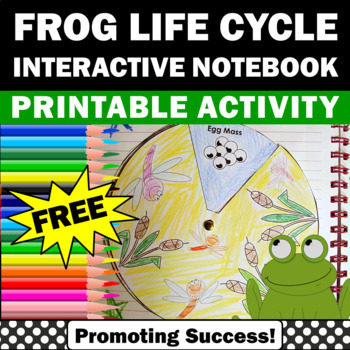 Teachers will download a free printable frog life cycle craft activity (craftivity) for a science classroom centers or stations project. 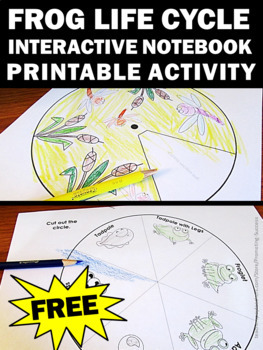 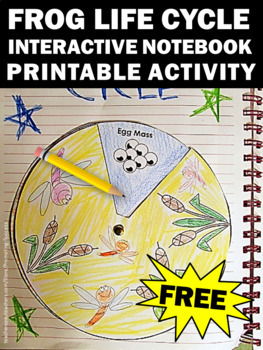 Students will color the pictures, cut and paste and assemble the frog life cycle diagram and spinner wheel, which may be attached to an interactive notebook or poster. 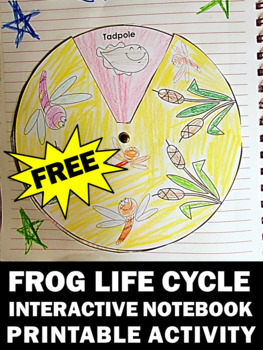 This frog life cycle lesson is appropriate for 2nd, 3rd or 4th grade, special education and kids with autism.